The Soil and Terrain database for Senegal and The Gambia primary data (version 1.0), at scale 1:1 million (SOTER_Senegal_Gambia), was compiled of enhanced soil information within the framework of the FAO's program Land Degradation Assessment in Drylands (LADA). 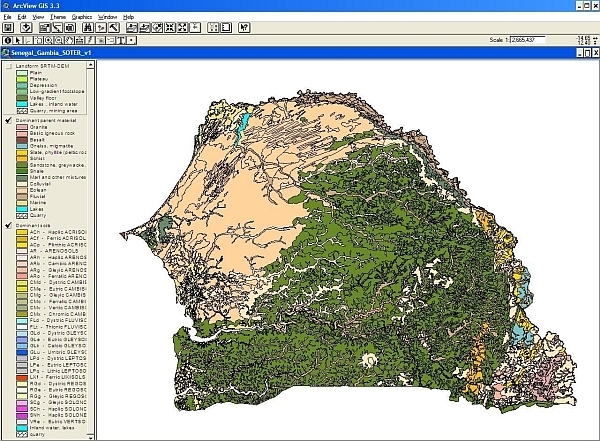 Primary soil and terrain data for Senegal were obtained through the Institut National de Pédologie Dakar; the digital soil map from the Centre de Suivi Ecologique. Adjustments made in the SOTER units were based on the SRTM-DEM derived data interpretations. dcc5e339-149d-49b4-8163-16a710446dd5 Access to the portal Read here the full details and access to the data.